The richness of the Harry Potter stories is enhanced and enlivened by all the animals in the books! Animals who are ... magic ... who embody magic in the fibers of their very beings. Who are some of them? 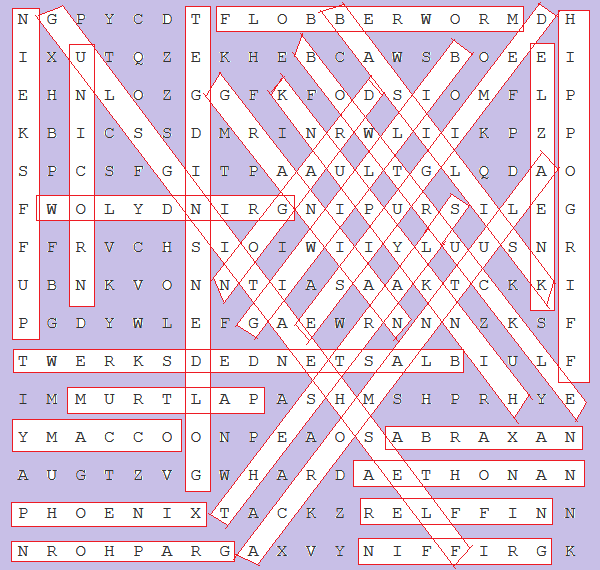 Here is a word search (and yes, the words are provided!) for you to locate their names. 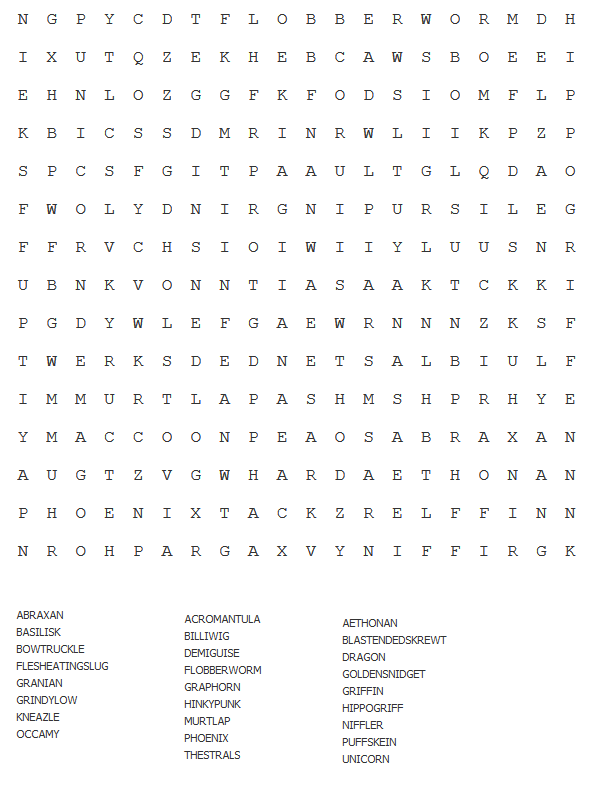 Click here to get a larger image with the Word Search and Words together. Earn 25 Diamonds for finding them all! 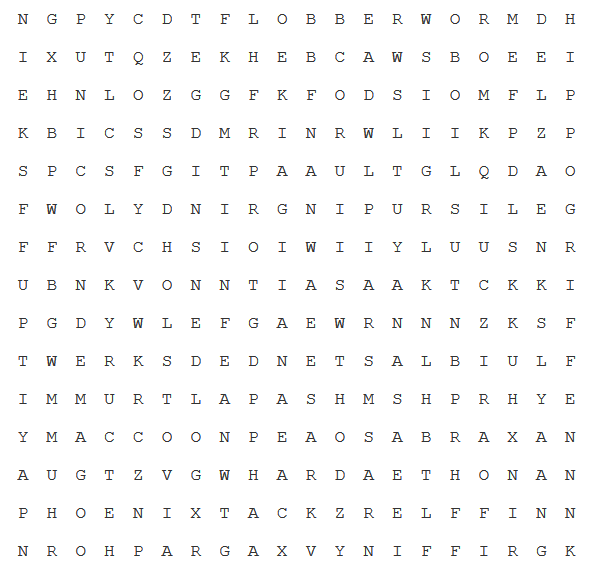 Send me your solution in a Sett PM titled "Supporting Cast - Word Search ". You have until October 10th to send me your answers. You earn a bonus of 3 Diamonds, though, if you send them to me within a week of me posting this! Already folks are solving this puzzle! Time is up to earn the 3 bonus Diamonds for submitting your answer within the week of the posting of this activity. You still have till October 10th to submit your answer to earn 25 Diamonds. Edited by Prof. Tarma Amelia Black, 08 October 2018 - 03:08 AM.